I was pleased with the result. I helped the children gift wrap their work in tissue paper and they carried it home to give to their moms for Mother’s Day. I am sure this Kindergarten Art will grace many tables for years to come. And serve as a reminder to the children that they all have a little of the artist in them. Do you allow your inner artist reign to create? I think they did. And I am sure they will become a treasures keepsake. My youngest is finishing up Kindergarten 😉 He loves art and I think of this topic often. Great gift! 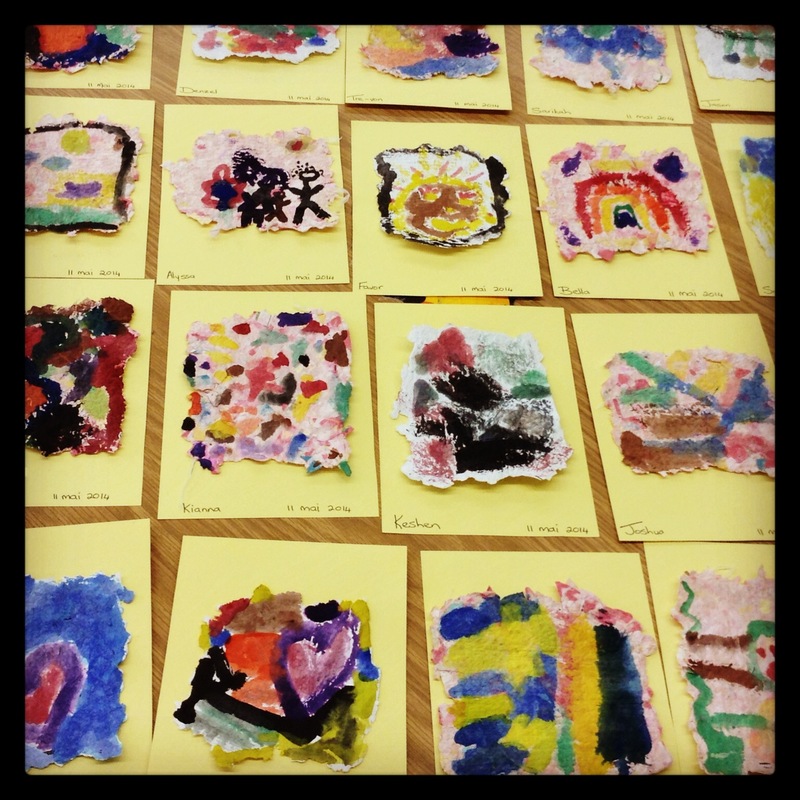 Kindergarten is a wonderful time for their to discover their creativity through different art mediums. What a fantastic idea for your students …. and their Moms and families for years to come!! It is something that both moms and their child can be proud of. I saw many carry their work with pride when they went to put the gift in their backpacks the Friday before Mother’s Day. These are precious work of art, Colline! How wonderful to have them framed for Mother’s Day! I am hoping that these will be among the treasures that the moms keep of heir child’s school years. That is cool. The frames just make the pop right out at ya. Some happy mom to be sure. I agree with you. The frames do make a big difference to the presentation. The children were so proud of their work. They sure do 🙂 A lovely post! What a beautiful idea. I agree, art is where you find it! It may not be a Monet, but it still carries the essence of the creator. And what I love best about children’s art, you can see their development in creativity as they mature. That must be a rewarding experience. To watch their art as their imaginations mature. It is. When I look at my own children’s work, I can definitely see their growth. This is awesome! 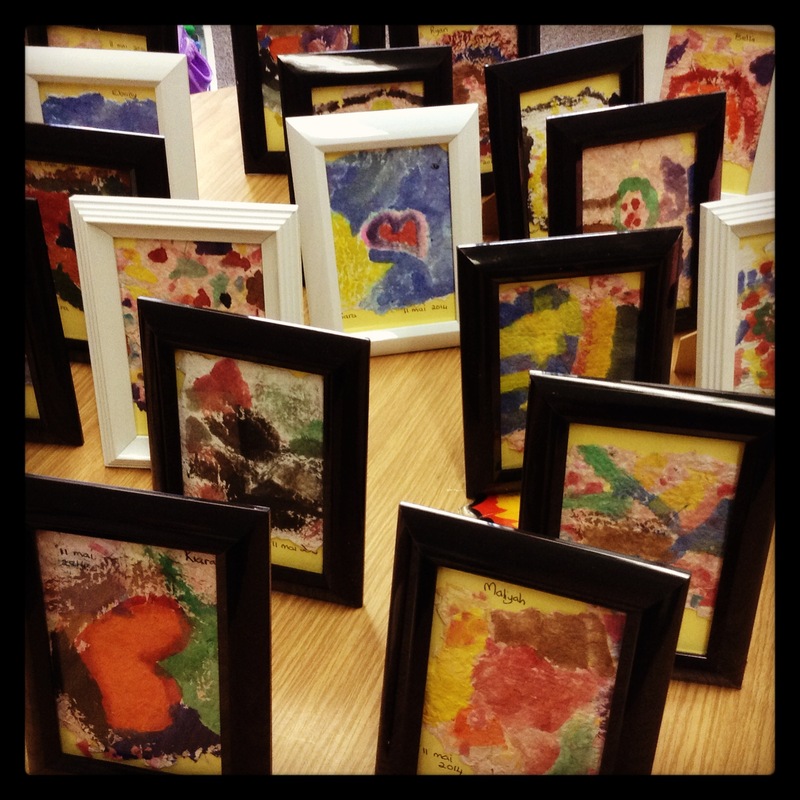 Each and every one had a masterpiece to give to their mothers! You have sparked an idea. Next time I will give the children the option to create another piece, if they wish, for their grandmother. The children must have been very proud of their job. They are lovely especially after framing. Among these young artists, I am sure there will be one who will continue to create beauty. What a great idea. Next year I’m teaching art to one kindergarten class for 1 hour a week. I’ve put this into Pinterest for future reference. Your class will love doing this activity – mine certainly did.